If you like being outside and like cooking outside, there`s more to it than just your bbq! 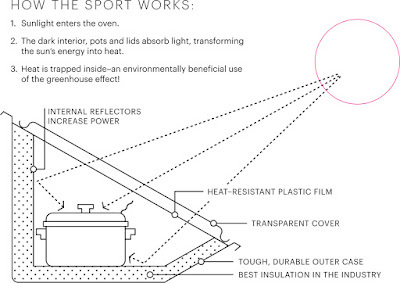 We had the opportunity to review the Solavore Sport Solar Oven. It was quite easy to use and fun to eat foods cooked by the sun. We also learnt of many benefits of solar cooking with the Solavore Sport Sun Oven and found many great solar recipe ideas on their site as well! Feed a crowd: With the Sport’s two 3-qt pots you can feed 8-10 people. Or use one pot for spicy jerk chicken and the other for savory long grain organic brown rice. Or bake a two-layer carrot cake from scratch (we’ll share our recipe). 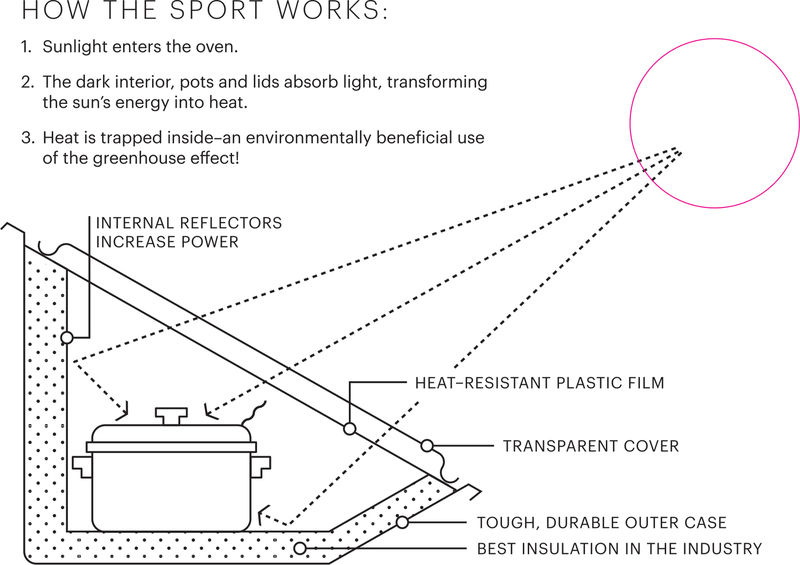 Skeptical about solar cooking in sub-freezing temps with snow on the ground? Fret not, with the insulating powers of the Solavore Sport. Solavore Dave Gillmore shows us how in his winter cooking video, filmed in December in 5º F. Dinner and dessert without burning a drop of fossil fuel! 1. Use your reflectors. ‘Tis the season to capture every ray you can. 2. Get an early start. This month the sun is at its lowest point all year; don’t wait until after noon to start cooking. 3. Experiment with using the Sport in its winter angle (Solavore Sport logo down). The “floor” measures 8” x 18” in this position, so loaf pans work great, as does my 7 ½” x 11 ½” metal casserole from the discount store; squash can simply sit on the floor of the oven, halved and cleaned; root vegetables, roasted garlic, onions - wrap in foil and bake away!